New Community Corporation - Celebrating 50 Years of Service to the Community! Adult Learners can take a variety of classes, including English as a Second Language. New Community offers safe, decent and attractive housing for low-income seniors, families and disabled adults. Community Hills Early Learning Center students celebrate their moving on ceremony and prepare to move on to kindergarten. Students receive hands-on training to become a certified home health aide, EKG and phlebotomy technician in the Allied Health Program. New Community Extended Care Facility offers physical, occupational and speech therapy. New Community Corporation employs more than 600 individuals, many of whom reside right here in Newark, New Jersey. Our job training programs equip individuals with skills and provide social services to set them on a path to self-sufficiency. Online giving is quick and convenient and is securely processed through PayPal. Learn more about job opportunities, benefits and training. New Community Corporation is recognized as one of the largest, most comprehensive community development corporations in the U.S. We have been at the vanguard of providing safe, decent and attractive housing for low-income residents for 50 years. Our vast array of services are provided "Under One Roof" and reach every stage of life. We offer a one-stop resource center, early childhood development, youth services, workforce training, adult continuing education, family transitional housing, food pantry, mental health services, extended care for seniors, a community newspaper and arts and cultural events. Take a look at NCC's impact by the numbers. New Community Career and Technical Institute, an accredited post-secondary school previously called New Community Workforce Development Center, is currently recruiting students for its Automotive Technician, Building Trades Specialist, Business and Computer Technologies, Clinical Medical Assistant, Culinary Arts Specialist, Diesel Technician and Patient Care Technician training programs. Financial aid is available to those who qualify. 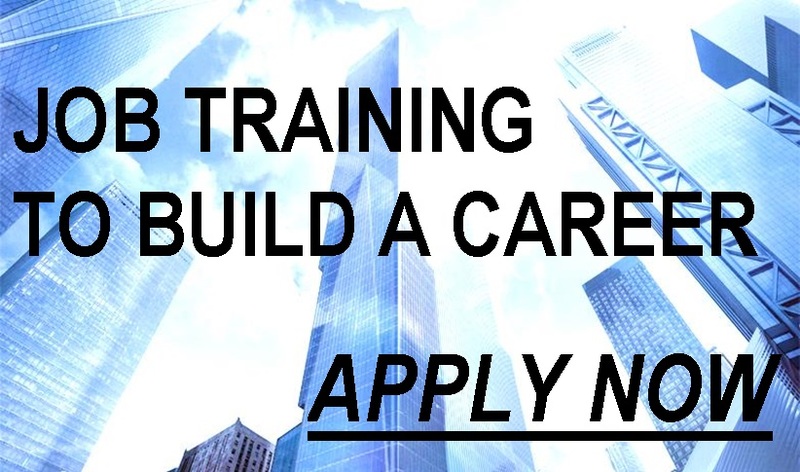 To apply now for a program, fill out the online intake form here. To learn more about each program, visit the NCCTI page. For more information, call 973-824-6484 or visit the center at 274 South Orange Ave., Newark, NJ, 07103. 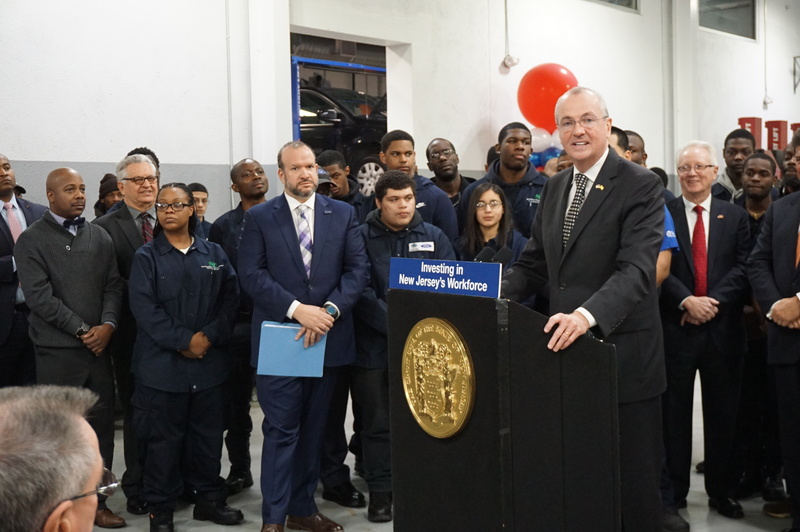 Students and staff members of New Community Career and Technical Institute (NCCTI) were invited to participate in a press conference held by New Jersey Gov. Phil Murphy where he announced grant money being allocated for paid apprenticeship programs. Automotive and Diesel Technician students will participate in the Sansone Auto Mall apprenticeship program. Sansone received $440,000 in grant money from the state to create 35 paid apprenticeship opportunities which will pay at least $15 per hour to start. Established in the midst of civil unrest in Newark in 1968, New Community was founded by Monsignor William J. Linder and a small group of civic-minded residents. Since then, New Community has grown into one of the largest and most comprehensive community development corporations in the country. Read more. New Community’s 2018-2019 Resource Guide, called “Under One Roof,” provides a detailed overview of all New Community’s programs and services, and includes contact information and locations for each department. Read more. In a single month, 1,300 adults received post-secondary vocational training and intensive case management; 1,400 seniors and disabled adults received skilled nursing care; and 2,500 people were served at early learning centers, Youth Services, food pantry and Home Friends visits. Read more. Since its formation, New Community has published studies, quarterly newsletters, a monthly community newspaper and editorials that serve to illustrate and provide insight into the community development movement. Read more.